Speaking of brake levers, I decided to upgrade my commuter to hydraulic discs because with the new Cannondale warranty replacement frame, the cables for the rear disc run through housing from the lever to the caliper, and the cable bends and housing length added a lot of drag -- and the BB7 calipers were haunted by Frank's potergeist and would periodically drag, even though the return spring seemed adequate. The old Avids have notoriously wimpy return springs. I found some old stock 105 levers and calipers on super-sale from a domestic eBay seller. They're the superseded ST505s, which are kind of bulky levers, but I actually like the feel. I have them on my Norco as OE. So, I put those on with the other mandatory upgrades, installed and filled the hydraulic hoses/levers/calipers (yet another adapter) and put in the gear cables. I shifted the RD, and the cable predictably loosened as the housing settled in and pulled into the lever with its little finned ferrule. But it kept settling. I peel back the hood, and as it turned out, the cable housing and ferrule had not seated but had been dislodged during some part of the process, and with all the shifting, I had managed to drag the housing and ferrule into the lever body where it broke a $.10 plastic internal cable guide. This: http://si.shimano.com/pdfs/ev/EV-ST-RS505-3902.pdf (part 5). Crap man, it was designated as a wear item, so the part should be available.. Nope -- not from Shimano or my local shops. And the cable does not stay put through the lever without the guide, so I'm SOL unless I can find a replacement. The only place I could find was SJS in Somerset. I think I got their last one, and it only took a week via Royal Mail/USP. The price was not crazy, either -- even with postage. I threw it in last night, and it works like a charm. If I break that part again, I think I would have to get it from some re-seller in Japan or Germany. That's incredible for a lever that is maybe two years out of date and for an alleged wear item. 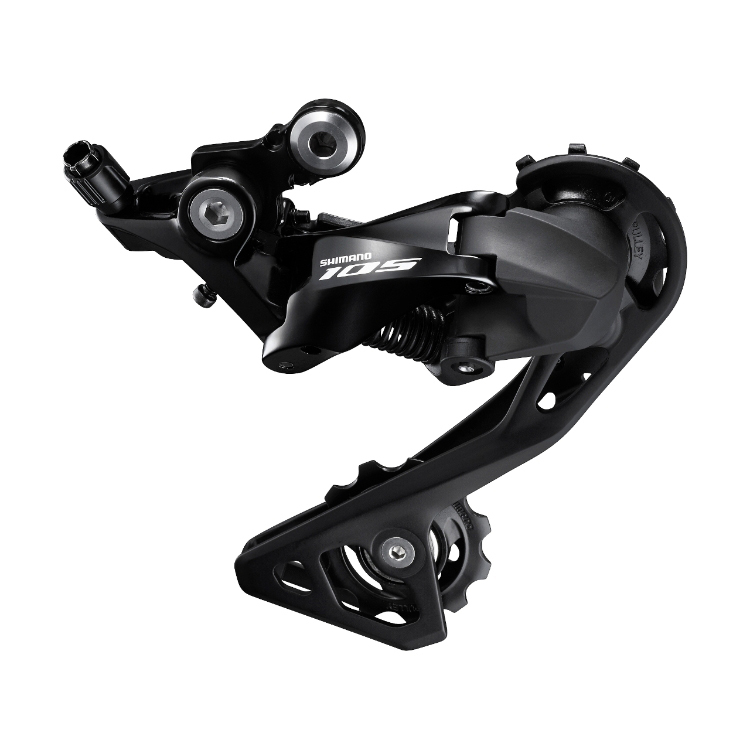 This is now SOP with the constant product upgrades from Shimano. One pines away for the days when nothing worked that well, but it didn't change from year to year. Speaking of brake levers, I decided to upgrade my commuter to hydraulic discs because with the new Cannondale warranty replacement frame, the cables for the rear disc run through housing from the lever to the caliper, and the cable bends and housing length added a lot of drag -- and the BB7 calipers were haunted by Frank's potergeist and would periodically drag, even though the return spring seemed adequate. Nope, that wasn't my poltergeist. She only does electronics. Crap man, it was designated as a wear item, so the part should be available. Nope -- not from Shimano or my local shops. And the cable does not stay put through the lever without the guide, so I'm SOL unless I can find a replacement. The only place I could find was SJS in Somerset. I think I got their last one, and it only took a week via Royal Mail/USP. The price was not crazy, either -- even with postage. I threw it in last night, and it works like a charm. If I break that part again, I think I would have to get it from some re-seller in Japan or Germany. That's incredible for a lever that is maybe two years out of date and for an alleged wear item. of the piece they could release. There are thousands of "maker"
think it's all been diminishing returns since then. To put it another way: Lower your expectations! You'll be happier! So, I put those on with the other mandatory upgrades, installed and filled the hydraulic hoses/levers/calipers (yet another adapter) and put in the gear cables. I shifted the RD, and the cable predictably loosened as the housing settled in and pulled into the lever with its little finned ferrule.. But it kept settling. I peel back the hood, and as it turned out, the cable housing and ferrule had not seated but had been dislodged during some part of the process, and with all the shifting, I had managed to drag the housing and ferrule into the lever body where it broke a $.10 plastic internal cable guide. This: http://si.shimano.com/pdfs/ev/EV-ST-RS505-3902.pdf (part 5). I do like hydraulic road discs, but if I want them on my commuter, it means upgrading to 11sp. TRP makes a road hydraulic lever sans shifter, but then I would need DT shifters which aren't a possibility on my warranty replacement CAADX. I also like STI. I didn't want to upgrade to 11sp, but my old 9sp hoods were worn through (with no available replacements), and the cassette and chain were in for a replacement anyway -- and the rear derailleur was a Nashbar $20 special which replaced an antique 600EX derailleur. So I bit the bullet. With all the local price competition and the fact that shifters/brakes were close-outs on Fleabay, it wasn't that expensive. I'll just live with more frequent chain/cassette replacement. Another unfortunate part of the sale-table upgrade is that the calipers come with resin pads and not the metal pads, which I prefer and are quieter. My resident Avid 6-bolt rotors also don't work as well as the more-expensive Shimano Ice-Tech (!) rotors. They also have a less cool name -- and that matters. New 105 rear derailleurs have that odd pivot arrangement. But once you figure it out, its just the same old same old. It doesn't seem to work any better than other derailleurs, but with the new b-adjuster on steroids, you can really change the chain wrap a lot. https://www.jensonusa.com/globalasse...b00blk--gs.jpg The problem with the tucked-in so-called "shadow design" is that your cable ends really have to be bobbed or they end up in the spokes. on my Norco as OE. have used an electric drill and a file as a lathe for similar jobs. fist-size post for a wine fridge. Those guys really get to it. just a few dollars but nothing breaks. I have the Bondhus "L" hex wrenches . 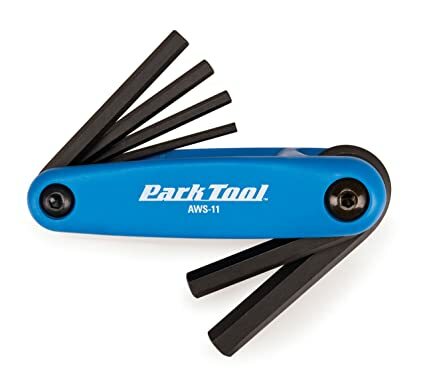 So you FINALLY got a chain repair tool! Congratualtions! Now you won't have to scrounge for a nail and rock to fix a chain whilst moutain lions are stalking you. rather than go looking for rocks and nails? again, I don't have to make room for growlers and 4 lb tubes. been brifters. I can't imagine using downtube friction shifters now. never replaced anything other than a cable. saved the bacon twice, for other riders. moutain lions are stalking you. steel nut (for the otehr side of the chain) weighed a fraction of an ounce. "It's very nice but too heavy". for just a few dollars but nothing breaks. Oddly enough, everyone from champion DH and cross-country riders to TdF winners have migrated to brifters. Have raced with DT shifters and brifters, I can say with certainty the latter are better. I'm sure there is some situation that only you encounter on your super-gnarly trails and hair-raising roads that requires DT shifters, so Go Dog Go! Keep the DT shifter industry alive. BTW, I raced with both on this course: https://www.youtube.com/watch?v=GrG12-aG_Xc multiple laps up a 23% climb -- a double shift that resulted in a giant compression back in the DT shifter days. Now look how smoothly it is accomplished. And with 11sp, a strong rider could big-ring it.